Crude oil futures were lower during mid-morning trade in Asia Friday, as market sentiment was dampened by the proposal of increased trade tariffs on China by the US government. At 10:38 am Singapore time (0238 GMT), ICE June Brent crude futures were down 31 cents/b (0.45%) from Thursday's settle at $68.02/b, while the NYMEX May light sweet crude contract was 34 cents/b (0.54%) lower at $63.20/b. US President Donald Trump on Thursday proposed additional import tariffs of around $100 billion against China, resulting in both equities and commodities markets easing some of their gains. "Commodity prices did recover overnight, although growth-related ones trended south in early trading hours this morning," OCBC commodity economist Barnabas Gan said. "In light of China's unfair retaliation, I have instructed the USTR [United States Trade Representative] to consider whether $100 billion of additional tariffs would be appropriate under section 301 and, if so, to identify the products upon which to impose such tariffs," Trump said in a statement. "The tone had certainly changed for markets in the early hours of Friday with news of President Donald Trump's order for more tariffs, derailing the repairment of sentiment up till Thursday," IG market strategist Pan Jingyi said in a note Friday. 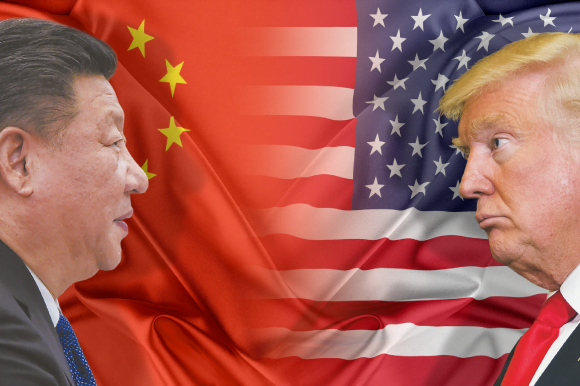 "With a $100 billion additional tariff on Chinese goods, a significant ramp-up from the earlier $50 billion proposal, worries of escalation returns to the fore of investors' minds," she added. Analysts also added that market participants would be closely watching China's reaction. "With the rather downbeat risk appetite into the new day, growth-related commodity prices including crude oil could give up previous day's gains into end-week, while market players await a potential Chinese retaliation act again," Gan said. Meanwhile, escalating geopolitical tensions in the Middle East have increased concerns on Saudi oil assets and key transit routes in the Middle East after Saudi Arabia intercepted a missile targeting its new 400,000 b/d Jizan refinery less than two days after an attack on a Saudi oil tanker in the Red Sea. Oil market participants have also raised concerns about shipping in the Red Sea and potential disruptions to supply after a Saudi oil tanker carrying about 2 million barrels of crude came under attack earlier this week. Analysts were however, optimistic that despite escalating trade and geopolitical tensions, supply side fundamentals were still strong to lend support to prices. "Aside from rising geopolitical risks, underlying supply issues should keep the crude oil market tight," ANZ analysts said in a note Friday. "Recent data suggest that outside the US, growth in supply is difficult to find. OPEC output continues to fall, beyond the targets of the production cut agreement," they added. As of 0238 GMT, the US Dollar Index was down 0.02% at 90.02.